Every time I change code, PyCharm syncs it with remote folder and changes appears on http://dev.my-remote-server.com:1234 and then Live Edit reloads only localhost tabs in Chrome, but not tabs with my-remote-server.com. How can I get LiveEdit reloading tabs with my-remote-server.com? Which PyCharm and LiveEdit version and operating system do you use? Does it work when you open your remote server tabs only? Do you have the message “JetBrains Chrome extension is debugging this tab” for tabs for your remote server or for localhost tabs only? 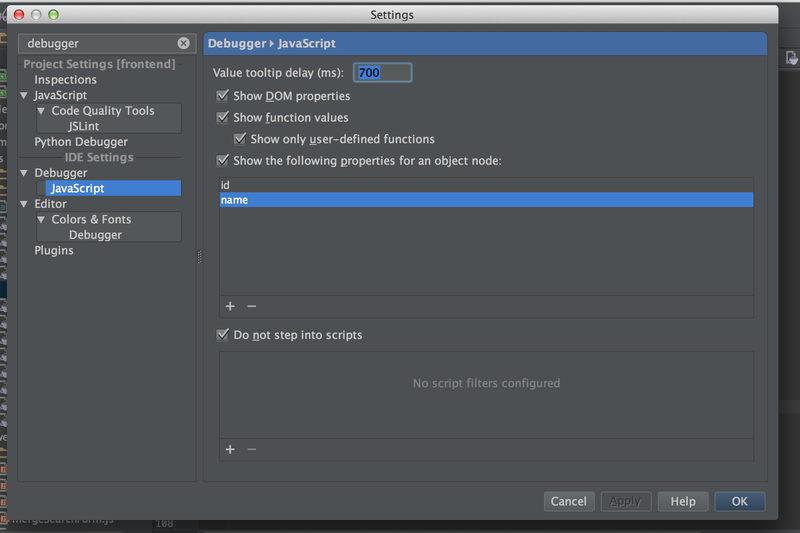 I'm using PyCharm 2.7.2, LiveEdit 0.4.129.2 and Mac OS 10.8.4. It doesn't work when remote server tabs only opened. I used to see the message “JetBrains Chrome extension is debugging this tab” for localhost tabs but then it disappeared (I don't know why), though these tabs keep reloading. I forgot to say that domains linked to 127.0.0.1 in hosts file reloads fine in addition to localhost and 127.0.0.1, if it matters. but they all are invalid (I see error "<my pattern> is not a valid URL pattern" in Chrome extension console). 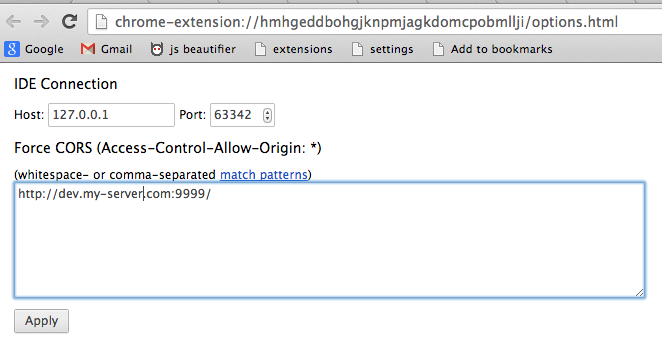 Chrome docs also say they are invalid: http://developer.chrome.com/extensions/match_patterns.html. Is any way to make LiveEdit working on pages without pathname in url? Please vote for http://youtrack.jetbrains.com/issue/WEB-9260 to receive updates on this issue.